The Mt. 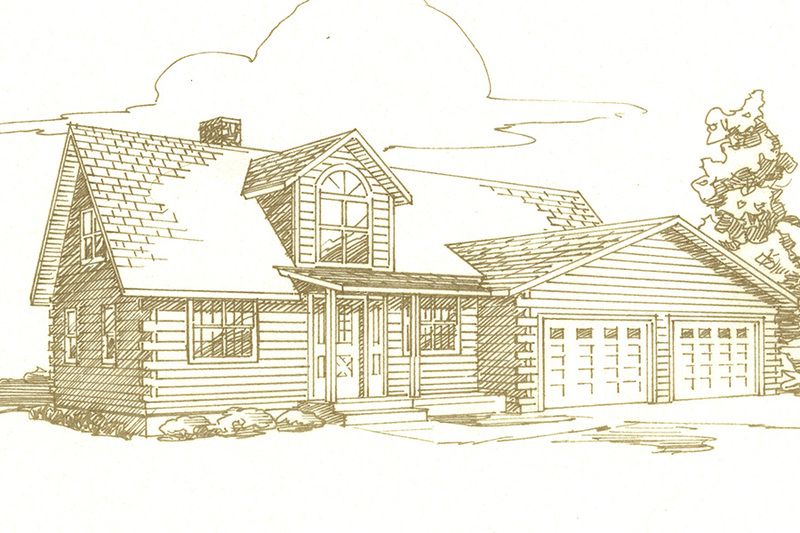 Vernon is a unique blend of the traditional log home with bold contemporary touches- and terrific curb appeal. The first floor features a master bedroom with fireplace, walk-in closet and master bath; a convenient laundry/mudroom off the kitchen and garage; and open concept entry/great room with exposed beam cathedral ceiling. 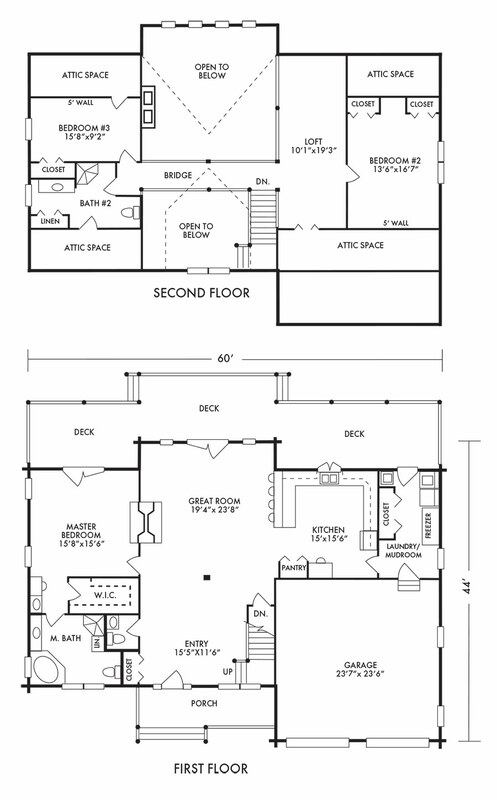 The second floor has a catwalk which bridges the great room and connects the two bedrooms and bath. Outside, a front porch and large dormer add to its considerable curb appeal. And the full length rear deck offers additional space for entertaining. Altogether, a very functional and beautiful home.